Dreamweaver: Busted and waisted! - Time for some soul searching? Busted and waisted! - Time for some soul searching? They’re everywhere! Seriously! Every time I turn a page in the newspaper I’m met with adverts egging women (and lately even men) to change their natural shapes and sizes in a bid to become more comely. I mean for crying out loud....THEYRE EVERYWHERE! Please don’t misunderstand me (especially if you’re a plastic surgeon and your income depends on people being unhappy with their bodies). I have nothing against altering one’s physical dimensions. It’s clearly a personal choice and I am in no way entitled to pass judgment on something that I have never agreed to try out myself. Maybe I’m chicken...maybe Im satisfied with the way I look...Maybe I’m just plain complacent. Whatever the reason, I am not judging a person’s choice to do with his/her body what he/she wants. Its just that this become a phenomenal craze now-at least in Singapore. All I want in the morning is a decent cup of Chinese tea accompanied by a newspaper which will in a brief half hour bring me up to date with the basic happenings of the world. But no. Every time I look for news, I get “Get ready for a bikini body this summer” or “Not Happy with your bust size? Call xxxxxxxx”. They’re EVERYWHERE! Being overweight myself I can safely say it’s not a happy feeling. Especially for a person like me who has always been inherently athletic. And that is just one aspect of bodily unhappiness for different people. There’s inconsistent bust size, big thighs, the dreaded shapeless bottom, cellulite, thinning hair, acne and pimples, un radiant skin, pregnancy stretch marks, non pregnancy stretch marks and the list could go on and on and on. I have myself counted at least 7 diet and nutrition centres that promise slimming without exercise, wraps or drugs. Then there are wellness centres which promote slimming via wraps and heat treatment without resorting to extreme diets, the pain of exercise or side effects of pills. Then there are pharma companies advertising their slimming pills which make weight loss happen without surgery, exercise or diets! 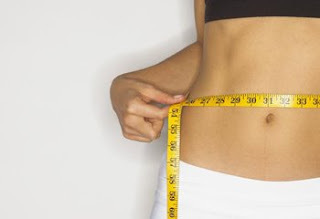 Plastic surgery like liposuction is also getting a lot of media attention in Singapore for people who would like to resort to a one time quick treatment to get back to their desired shapes. Result: sculpted arms and thighs, firm buttocks and flat tummies...Quite tempting isn’t it? Only, many of these procedures are quite unsafe (the shadier clinics -not the well known ones) and can have far reaching consequences. Then of course, the vast number of women unhappy with their bust sizes is amazing (and also a little frightening). Consequence: a large number of programs sprouting up island wide, for breast size reduction, enhancement and upliftment- either by creams or rubs or surgery. I do not know the success ratio of these programs, but considering the increasing number of advertisements, one thing is clear-more women are asking for it. Hair and skin are never far behind (these affect both men and women) with acne, pimples, pigmentations, oversensitivity, sunburns being some of the more common skin issues and hairfall, receding hairlines, extra bodily hair growth and premature greying being some of the hair issues plaguing men and women in this country. So much so, that they are ready to put in hundreds of thousands of dollars to sort these issues. Laser hair removal, herbal pills and oils to blacken hair, an assortment of chemical and natural creams and drugs to solve the skin problems, are some of the treatments rampant these days. I re-iterate I am not being judgemental. People have the liberty and the right to make their own choices in life. And if it makes them feel better about themselves, if it raises the faltering self esteem and if it increases energy levels owing to “looking younger”, then there is probably no reason for them to not go in for it. However I would rather eat heartily but healthily, get a lot of sun, air and exercise, run, swim, cycle, and go gymming and trekking, and train myself to have a high self esteem irrespective of how I think I look. I personally would not like to tamper with the body the good Lord above gifted to me. Moreover I think I would concentrate on spiritually cleansing myself with deep meditation and soul contact with God. I think it solves most of the problems people think they have. The body can be altered as so many people are finding out. But happiness cannot be bought and it comes only from a lot of searching of the soul-an entity which remains unchanged no matter what. It is just my personal opinion that if along with sorting bodily issues, people realized the unchanging wondrous nature of the soul; it would go a long way in keeping them healthy and beautiful-both within and without. And I could have my morning tea and news in peace again. And all would be well with the world (Sigh! ).